Veolia Water is the reliable, driven by technology supplier of products and services for the purification of process water and waste water. In the Netherlands, we yearly manage about 2.500 service agreements with a team of 20 service technicians. It is very important to have a better and more efficient planning and coordination as well as a fast reaction time concerning service jobs. We manage 1 to 6 jobs/day/technician. Our customers are used to getting the best service possible. They themselves are known in their field of speciality as supplier of qualitative, high-grade products and services. For instance, we work in fields like the industry, the public sector, maritime and offshore sector and laboratories. That’s why the expectations of our customers about the performances and about how fast we can solve their problems is extremely high and we thought a mobile work order software could help us in fulfill even better these expectations. Inge analysed the existing service processes before they went looking for a wireless field force automation solution. They discovered that the service technicians only used 50% of their time proactively with the customer. The other hours were used for things like travelling, administration and communication between the field force technicians and the employees of the administration department. They checked information about customers, installations, contracts and so on in order to deliver a good job. Mobile Service Management Solution lowered Veolias MTTR (mean time to repair) from 4 days to 1 day! Inge obtained an online dispatching tool within the mobile Service Management Solution that lowered their MTTR (mean time to repair) from four days to one day because the planner can now see online where a service technician is, which stock they have with them and when they would have to be ready with their current job. Thanks to integrated mobile systems and the electronic work order, they have been able to lower the number of second interventions; based on the information about missing spare parts. The return also increased because technicians can now create after sales offers and the customer can immediately put his signature via the electronic work order. 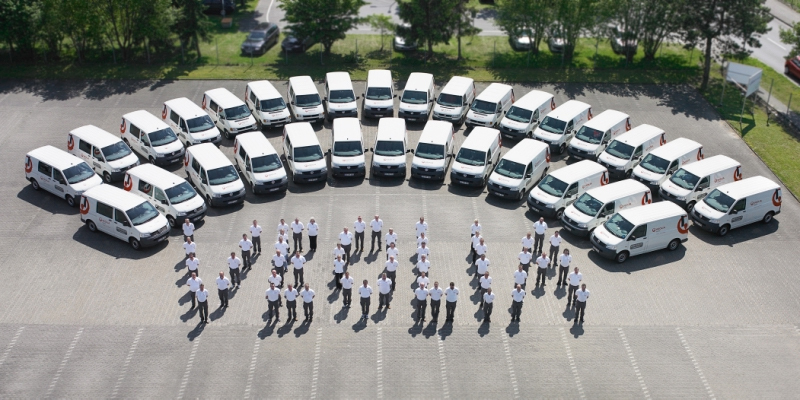 Mobile Service work order: Veolia’s service technicians are more efficient in the field thanks to Odyssee’s work order solution. The service technici are now more efficient in the field force thanks to Odyssee’s service solution. Inge van Dijk, IT – Coordinator – Veolia.